On Thursday, March 5, 2015 at 6:46pm, Troopers from the Maryland State Police Bel Air Barrack responded to a fatal hit-and-run motor vehicle collision where a pedestrian was killed in the 2800 block of Harford Road, near Fallston, Harford County. The striking vehicle is described as a dark Jeep Cherokee with a silver bumper and a lift kit. 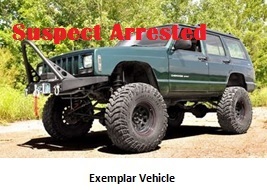 The suspect vehicle is similar in appearance to the exemplar photo provided (above). The vehicle was observed fleeing the scene and continuing north on Harford Road (MD0147) toward Mountain Road (MD0152). 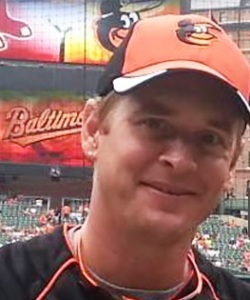 Mr. Christian Widomski (pictured above), of Fallston, had borrowed a snow blower from a neighbor to clear the shoulder of the roadway near his home when he was struck by the Jeep Cherokee.